"Not since Gone With The Wind has there been a great romantic epic like it!" Reds recounts events in the life of famous left wing newspaperman John Reed. He journeyed to Russia at the time of the outbreak of the Bolshevik Revolution to cover political events there as a journalist. The film describes his meeting with a strong willed married woman named Louise Bryant, then a visitor in Russia. Much of the plot tracks their romantic and often tumultuous relationship, a love affair fomented in the midst of the violence of the civil war and chaos occurring in Russia. Actor Warren Beatty directed and stars in the movie. 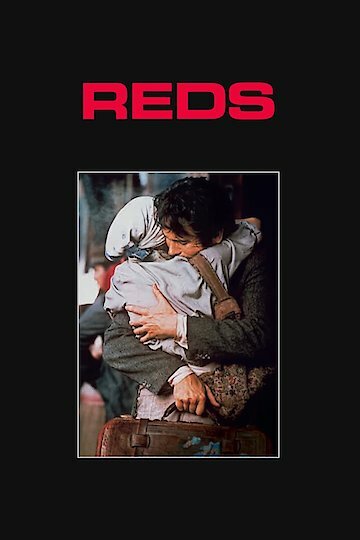 Reds is currently available to watch and stream, download, buy on demand at Amazon Prime, Starz, Amazon, Vudu, Google Play, iTunes, YouTube VOD online.